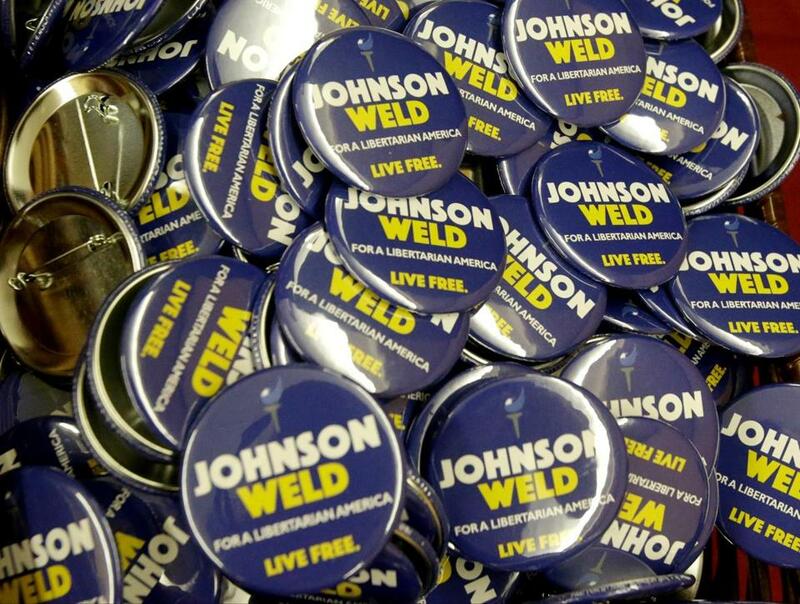 Campaign buttons for Libertarian presidential candidate Gary Johnson and vice presidential candidate Bill Weld. By any standard, Governor Gary Johnson and I are classical Jeffersonian liberals. We believe that government is best that governs least. Unlike the current Republican Party, we believe in maximizing freedom, liberty, and choice for individuals in their own personal lives. Unlike the current Democratic Party, we believe that taxation is coercive and should be kept to a minimum, and that the cost of government should be more tightly controlled — as we each made a point of doing when we served as governors of New Mexico and Massachusetts in the 1990s. We believe in a policy of restraint and nonintervention in military conflicts abroad, in terms of committing US boots on the ground or shedding American blood on foreign soil. We believe war has unseen costs, both moral and economic, and often unintended consequences as well. At the same time, we believe a bedrock responsibility of the US government is to maintain the most powerful military in the world, by a wide margin, and to let the world know of that commitment and that fact, both with regard to air supremacy and naval supremacy. We also believe in constructive engagement with other countries, including the use of “soft power” and “cultural diplomacy,” even in the absence of armed US military interventions. Unlike the Republican or Democratic presidential nominees, we are committed to free trade and vigorously support the pending Trans-Pacific Partnership, which would establish the United States as an economic counterweight to China in Asia. The former Mass. governor also said he would back a state ballot question this fall legalizing the recreational use of marijuana. The only “isolationists” competing for the US presidency today are those who reject the premise of free international trade in goods and services (both major parties) and, worse, those who make a mockery of our obligations under treaties and international law by threatening illegal unilateral sanctions on countries such as Mexico and China (the Republican presumptive nominee). To provoke and call into being a hostile Mexico, hitherto unthinkable, would be like creating Castro’s Cuba on steroids, smack on our border — why on earth go there? Both Gary Johnson and I were two-term governors with records of accomplishment. We understand in our bones that welfare policies which discourage work and break up families are pernicious and wrongheaded. We understand that parents need more choice and options with regard to the education of their children, not less. We understand that marriage equality, in addition to increasing the sum of human happiness, leads to a more productive and caring society. As state governors, we have lived these and many other issues. As Republican governors in “blue” states, we learned how to reach across the aisle to address them. Today’s Republican and Democratic Parties have almost reached the point of ossification. While they depend on each other for their “duopoly” status, they seem locked in a death-spiral embrace, more obsessed with out-slandering each other than with generating fresh ideas or doing the people’s business. Governor Johnson and I hope that voters will give us two classical Jeffersonian liberals a close look in the run-up to this year’s election, and cast a principled vote in November. 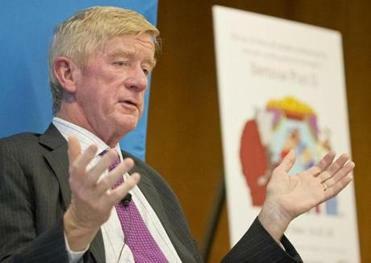 Bill Weld, a former governor of Massachusetts, is the Libertarian Party candidate for vice president of the United States.